Nearly 25,000 fans showed up to support lawmakers and raised over $1 million at the Congressional Baseball Game just 36 hours after Wednesday's shooting. WASHINGTON — It’s no secret that most Americans have a pretty dim view of Congress. Congressional approval sits pretty steadily right around 20 percent these days, which is actually up from the past few years. There is no shortage of partisan anger and finger-pointing in Washington and around the country. 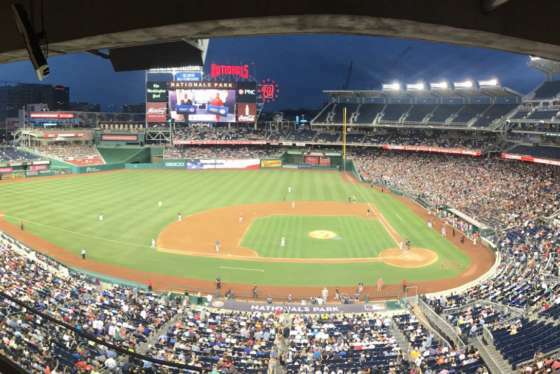 Thursday night’s Congressional Baseball Game is always a rare time for House and Senate members to hear unbridled applause. But this year, the cheers were louder and longer, not simply shows of support, but emotionally charged, standing ovations for not just the members, but Capitol Police, the game itself and everything it tries to accomplish as a last bastion of bipartisanship expressed through our national pastime. The numbers tell the story. A record crowd of nearly 25,000 filled the entire lower bowl, aside from two sections behind the Nationals bullpen, full of overflow press. That’s better than the Tigers, Twins, White Sox or Indians drew Thursday night. The number of credential requests spiked from 31 earlier in the week to better than 700 by Thursday night. The money raised by the game, generally several hundred thousand dollars, topped $1 million for the first time. For the first time since 1983, C-SPAN broadcast the game live (and used our WFED feed for audio), bringing the game to the country beyond the greater Washington area for the first time in a generation. The game itself followed the same script that it has, for the most part, since Rep. Cedric Richmond, D-La. (who Republican coach and representative from Texas, Joe Barton, says is the best he’s ever seen take part in the game), began playing. Clearly the best all-around athlete on the field, the former college pitcher at Morehouse settled in after a two-run first inning to throw six scoreless innings to close the game. Richmond also had hits in each of his first three at-bats, including a ringing triple deep to left, easily the hardest-hit ball of the night. In the end, it was more than enough to lead the Democrats to an 11-2 victory and allow them to reclaim the all-time series lead, 40-39-1. While the Republicans certainly would have preferred to win for any number of reasons, the magnanimous gesture from the Democratic team after the game was one that could only have come from a defeat. Despite winning the Roll Call trophy, the team dedicated their victory to their injured opponent, Rep. Steve Scalise, R-La., and handed the trophy back to Barton so it could be placed in Scalise’s office for when he returns to the Hill. In the week after the attacks of 9/11, there was no baseball. This was at least as much because of the nationwide grounding of air traffic, though, than of any sense of obligation to not play. 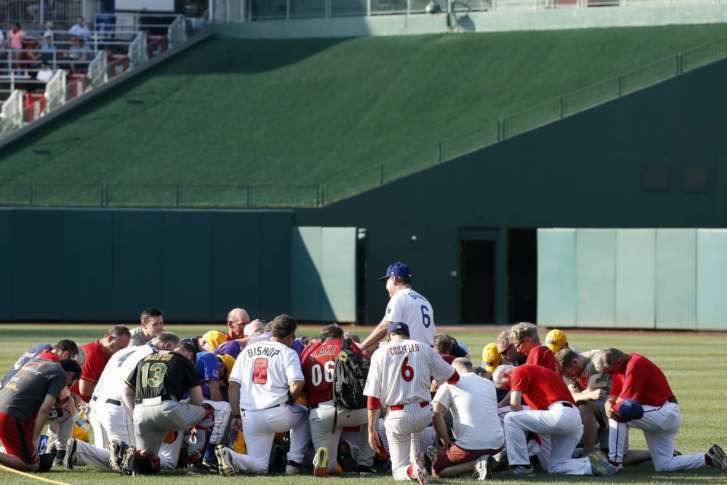 It was clear early on Thursday night that it was absolutely the right decision to play the Congressional Baseball Game, even just 36 hours after the shootings on Wednesday. In a strange sense, the short amount of time didn’t allow for politicization, for points and counterpoints, but rather pushed everyone to come together in a short period of time. The response to such events from individuals on both fringes of the political spectrum was predictable, as was the rush by many to make declarative statements before the facts were in. Regardless of your politics or point of view, the truth is simple: This was an attack on American public officials, playing America’s game, in a public park. Thursday night offered a rebuke to that violence and a rare moment of unity in a divided Washington. To be clear, though, it was just a first step. Our country still faces pressing issues, ones that shouldn’t take a back seat to emotion. There are deep divides about a great many issues that have no clear resolution in sight. Perhaps Thursday night’s game, with its greater exposure and attention, set an example to help us work together toward a more prosperous future for us all.